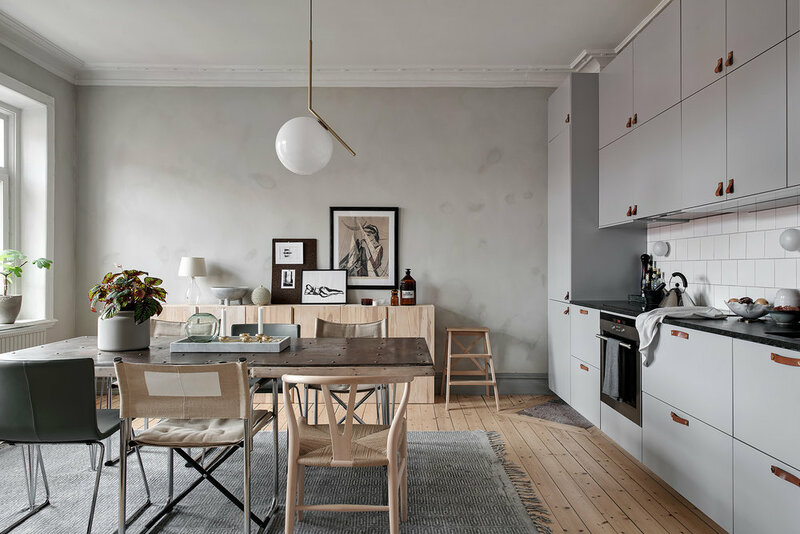 Today I want to talk about textured walls. When I say ‘textured’ I don’t mean wood chip or foam patterns - mercifully, that’s not come back into fashion yet! 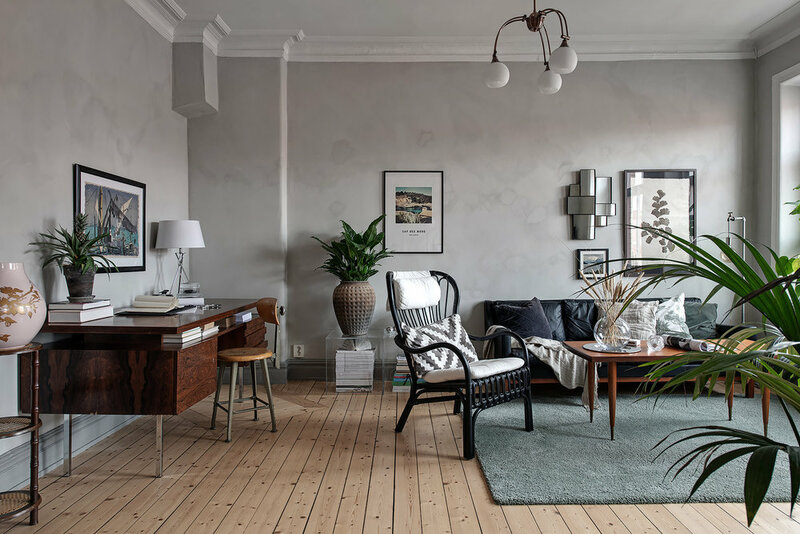 I mean the subtle variations in colour, brush strokes and gently gritty surface that the owners of this apartment in Stockholm have pulled off so well. 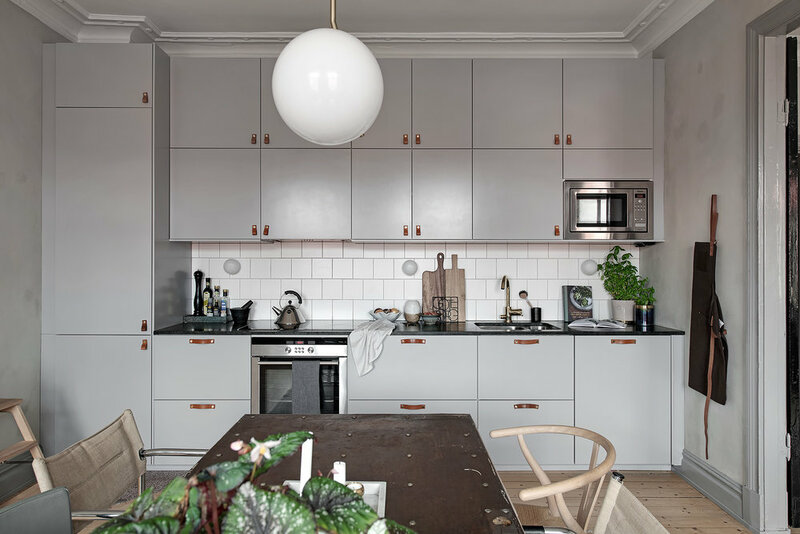 Being really honest, in some areas the effect might be accidental - I’m pretty sure I can see splodges in the kitchen where holes have been polyfilla’d and stains painted over. Personally I find that quite charming but I realise that it’s not for everyone. The bedroom, however, is another story. Here it looks like an additional material - possibly sand - has been added to the paint. Applying it with a large brush rather than a roller creates thick, sweeping strokes across the wall, reminiscent of a painting of a stormy sky. 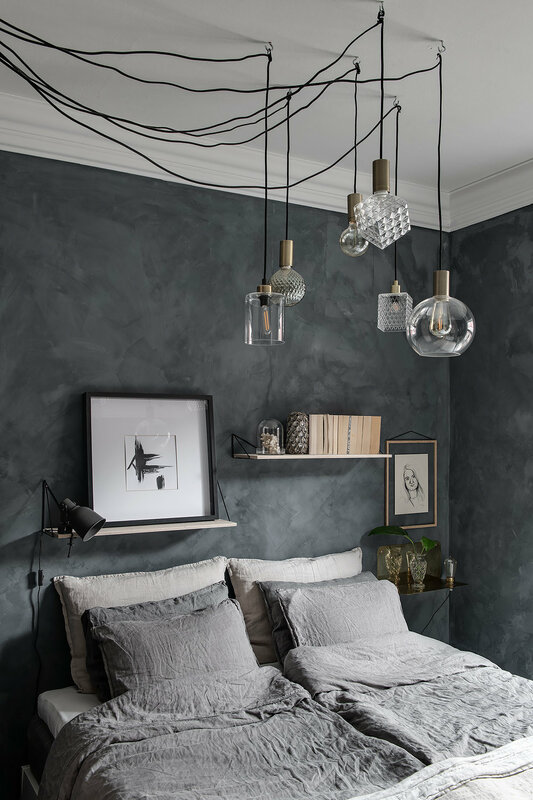 I’m generally not a fan of super dark paint because it makes rooms so dark and claustrophobic, but adding texture breaks up the colour a bit so it’s not just a massive expanse of darkness. So clever! I’ve also done a bit of a hunt for matching furniture and accessories in case you see something you’d like to buy for yourself. If I’ve missed anything, please let me know in the comments and I’ll add it!